You have a vision for your career and where you want it to go. We want to help you see that vision come to life, so we are challenging the way people experience and build their careers. As a locally focused firm, we’re dedicated to the success of each advisor who joins our team and provide the knowledge, support, and planning to help you build a successful business. In addition to development and business support, you’ll have the ability to work alongside our senior representatives, have access to the leadership team for additional development and mentoring, and back office support for your practice as well. As a member of The Guardian Network®, our advisors also have access to national training, business resources and a network of like-minded peers to help guide you as you build your business and your career, whatever direction it should take. Our advisors have a passion to succeed through hard work, an entrepreneurial spirit, and a drive to continually challenge themselves and their definition of success. Joining The Guardian Network means becoming a part of a “financial philosophy”. Guardian was awarded a Training Top 125 Award from Training Magazine. 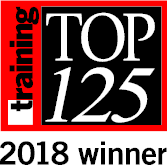 Now in its 18th year, the Training Top 125 Award indicates excellence in training and development programs as well as a company’s commitment to helping its employees grow in their career.